So that everyone has the opportunity to enjoy the outdoors, the Mohonk Preserve actively promotes the inclusion of people with disabilities on the land and within our programs. We offer a variety of services for visitors, including consultation before you arrive, as well as universally designed programs wherever possible. How does it work? 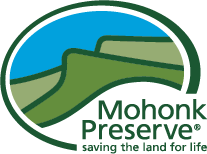 In advance of a visit to the Preserve, contact our Director of Education, Kathy Ambrosini, at kambrosini@mohonkpreserve.org to discuss your needs and concerns. Our staff includes New York State Certified Inclusivity Assessors and combined expertise in special education and outdoor education. Accessibility consultations are available for individuals, families, and self-guided group visits. 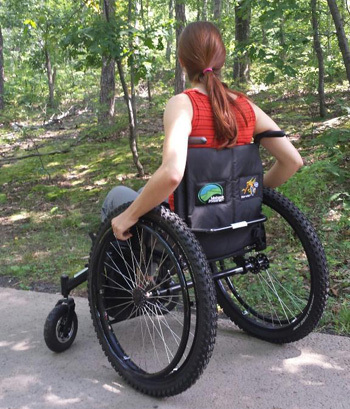 We are pleased to offer the use of our All-terrain Wheelchair for day visitors at the Mohonk Preserve. Loan of the chair is available at our Visitor Center by reservation or on a first-come first-served basis. Users must be able to self-transfer from their existing mobility device to the all-terrain wheelchair and must not exceed the 250 pound weight limit. Day use of the wheelchair is provided as a service to Mohonk Preserve visitors for use on Mohonk Preserve property only. There is no fee for use, but all visitors must carry with them a valid day pass or membership card and must sign the waiver and release of liability. A deposit of $100 by credit card is required, to be refunded upon its return in good condition to the Visitor Center at least 1 hour before closing (check Visitor Center hours of operation before departing). A valid driver’s license belonging to the user or their personal care attendant will be photocopied. Wheelchair use is restricted to the carriage road system and additionally on the Visitor Center’s Grafton Sensory Trail and the path from the Coxing Entry lot to the picnic area. Off-trail use is not permitted. Mohonk Preserve reserves the right to restrict use of the wheelchair seasonally and as trail conditions dictate. Call 845-255-0919 to reserve the All-terrain Wheelchair in advance, to be held until one hour past the selected pick up time. We offer accessibility trainings for outdoor professionals at parks, nature centers, and governmental organizations, which are tailored to the needs of each organization and may be combined with Accessibility Assessments of facilities and outdoor sites. 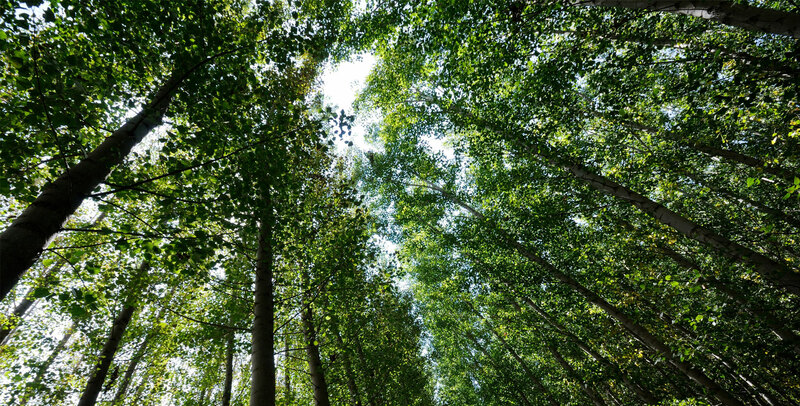 To view our NatureAccess® training offerings, click here. Making Outdoor Programs Accessible is a 62-page, soft-cover “how to” manual that provides strategies from the NatureAccess® program and the tools needed to create programs to include diverse audiences. Check out an excerpt from the program manual and order a copy. Since 1994, the Preserve’s accessibility program, NatureAccess®, has become a model for training outdoor professionals at parks, nature centers, and governmental agencies nationwide. In 1996, Mohonk Preserve received the Statewide Accessibility Award from the Association of Independent Living Centers of New York State. In 2006, the Preserve's Director of Education, Kathy Ambrosini, was recognized with the Beyond the Letter of the Law Award from the Resource Center for Accessible Living for her leadership in pioneering the NatureAccess program, and was named 2010 Inclusivity Hero by the New York State Inclusive Recreation Resource Center.